All of us have those cute little clutches and bags lying at home which are hardly used as we have lost interest in them. But throwing them away is a big deal, but there is something which we can do to reuse them and that too in an all new avatar. 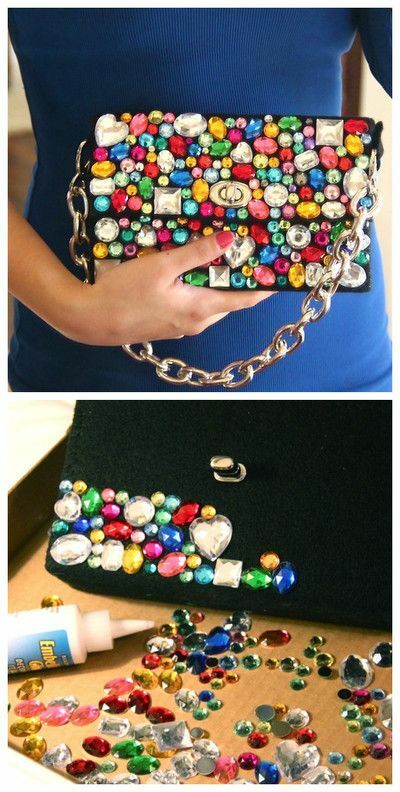 Here are few ideas which you can try at home and turn your old clutches into new pieces. All you need is some raw material to embellish the stuff…. Mesh is great-A great idea to turn a simple gold clutch into a head turner. You can use a mesh lace or a mesh fabric and paste it directly to the clutch. 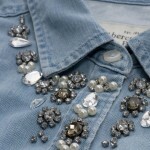 Use flat pearls which can be pasted directly and match it with rhinestones and chain. You can match it with Indian outfits or even with a plain black dress. Colorful stones– If you want to add a bling to your bag then choosing colorful stones is a great option. Pick stones in different colors and sizes and paste them randomly over the surface. Black bags are great to be decorated like this. Decorate with laces– If you love those colorful pom pom laces and often think how and where to use them then this is one of the best way to use them. Pick different color of laces and paste them in a pattern as below. If you have an envelope clutch then this pattern would be great to follow. 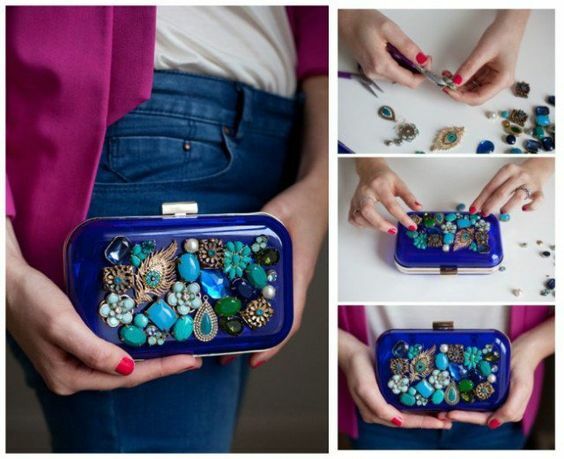 Use broaches– Old broaches and decorative buttons have a purpose now, you can use them to ornate your old clutch. You can use broad crystal stones in different shapes and sizes to fill the gap in between. 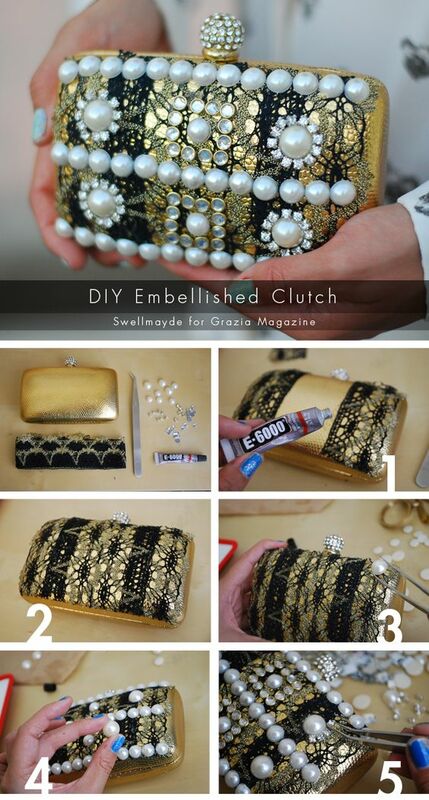 This way you can turn a simple clutch into a ornate party one.